Got to keep an eye on the big picture ! I’ve got a legacy app, still in use, meant to be using UTC. 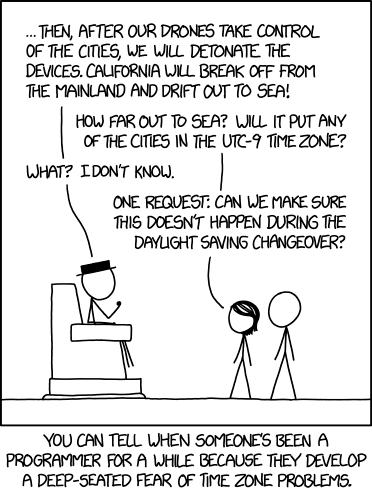 User complains every time we switch timezone that timestamps in the data are out by an hour. It’s literally been years and we still can’t work out how or why it changes. Doh.